As you can probably tell from the trailers, Assassin's Creed is definitely action packed. For fans of the Assassin's Creed video games, there are some familiar elements to look forward to in the movie. We get some nice chase scenes and a fair amount of fight scenes. There's a variety of close combat scenes and various weapon use. You can also bank on the signature parkour that is featured throughout the film. There was never any worry about Michael Fassbender. He easily excels within his character of "Cal". A nice surprise was the casting of a personal favorite of mine being Michael K. Williams. He didn't do much, but it was nice to see him in a slightly different role nevertheless. There was little to no character development when it came to the actual assassin, Aguilar. One of the aspects that makes each Assassin's Creed game great is the Assassin from the past and the current decedent. This film missed an opportunity to develop the motivations and provide sufficient background on the Assassin. Thus, the experiences in the Animus machine lose a bit of value. Seeing as though there wasn't any real character development with the Assassin, most of the overall plot was rushed. A lot of the plot twists that kept you engaged in the video game are simply laid out in this film and remove a lot of the mystery. A lot of other events felt hurried as a result and other elements of the film just weren't really fleshed out enough. As a fan of this specific video game franchise, I must admit that I was disappointed with the film. When the Assassin's Creed game first debuted in 2007 I was very excited for its potential. As the games progressed it seemed almost too easy to make a movie adaptation because the games pretty much laid out an easy framework to follow. 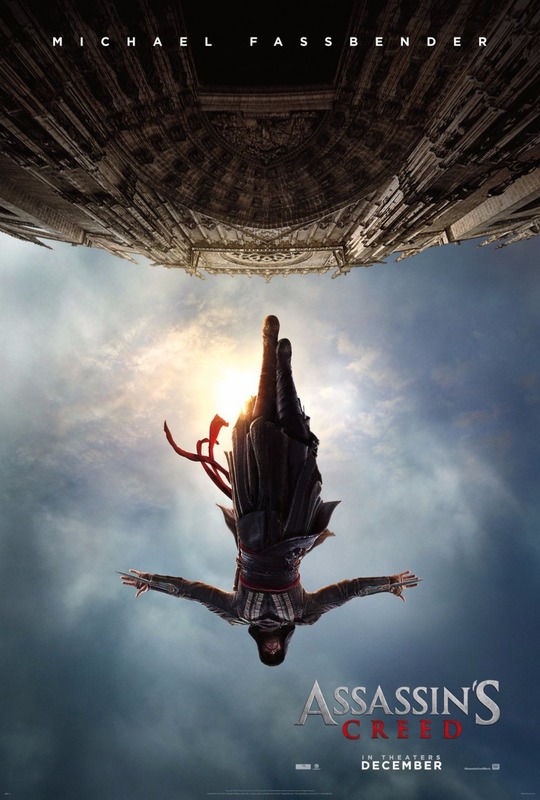 Unfortunately, this Assassin' Creed film feels very watered down without really capturing the fundamental things that make the series great. We simply get some fan service with a "leap of faith" and the traditional hidden blade usage. I will say that I don't think that this movie is as bad as other reviews out there are suggesting. It's not the best nor the worst video game movie out there. As a matter of fact, there's probably a chance that if you've never played any of the games, then you may actually enjoy the film. I think the only people who will be really disappointed are the gamers who know just how great this movie could've been. I'd recommend checking out the trailer to see if it interests you before you decide on checking it out or not. No, don't go easy on it. It sucked. It was sooo rushed and full of holes.